All in One Reservation WordPress plugin is a simple and powerful plugin for reservation management system. It allows you to setup any reservations easily, quickly and pleasantly. 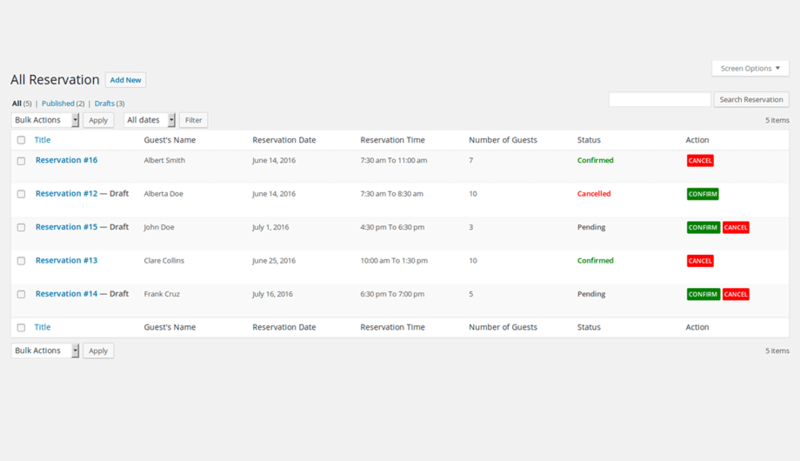 It also has all the necessary features and functions needed for a reservation management plugin. It is having lots of features like create and manage reservation, reservation in advance, reservation status for specific dates, email systems and much more etc. Using All in One Reservation Plugin you can easily create reservation systems for your website. 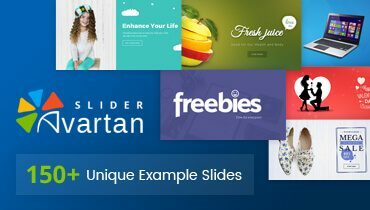 This Plugin is fully responsive and it is compatible with all devices like smartphone, iPad, laptop, etc. Our all the themes and plugins are running with all popular browsers like chrome, mozilla, safari etc. Our Plugins are user friendly and require no expertise to use them. Basic WordPress users can also easily use it. Powerful Settings Panel to customize the general settings, Email settings etc. 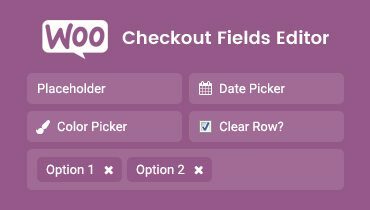 This Plugin supports Built-in email editor with predefined placeholders in email setup section. 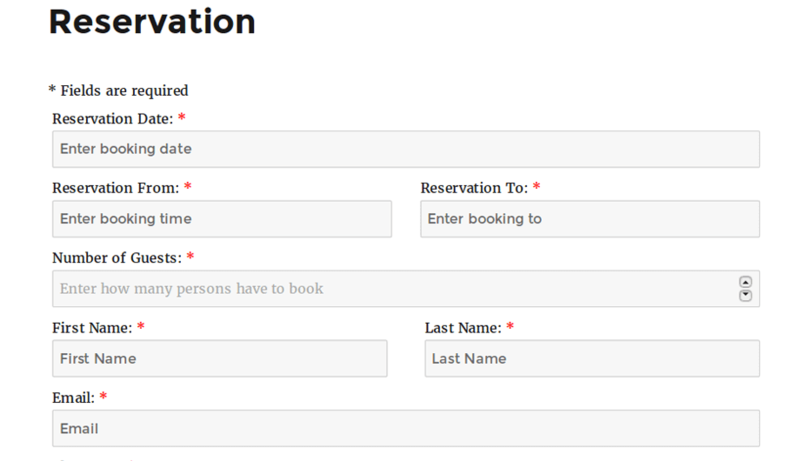 Customer can add reservation using reservation form in front end. Admin can add reservation in a case when customer didn’t reserved on the website but through other way. When Reservation is ‘confirmed’ or ‘cancelled’, an auto-generated email is sent to your customers and administrators. Admin confirms the reservation and customer gets the notification when reservation is confirmed. Reservation can be cancelled and customer will receive a notification of the cancellation. 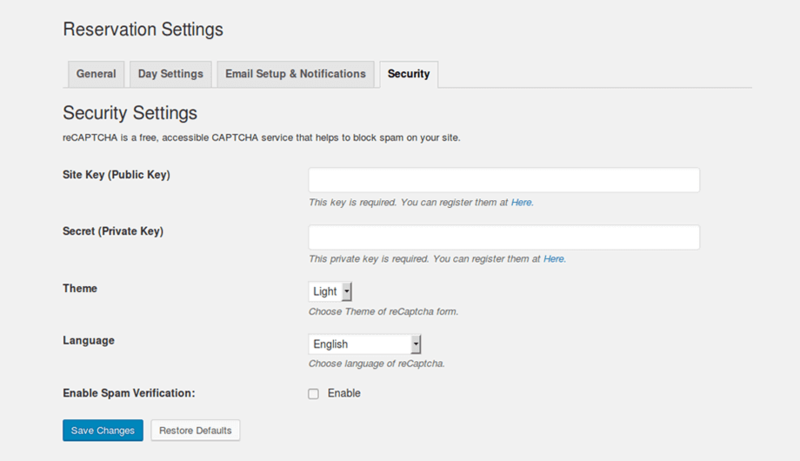 It supports recaptch plugin. This feature protects your website from spam and abuse. 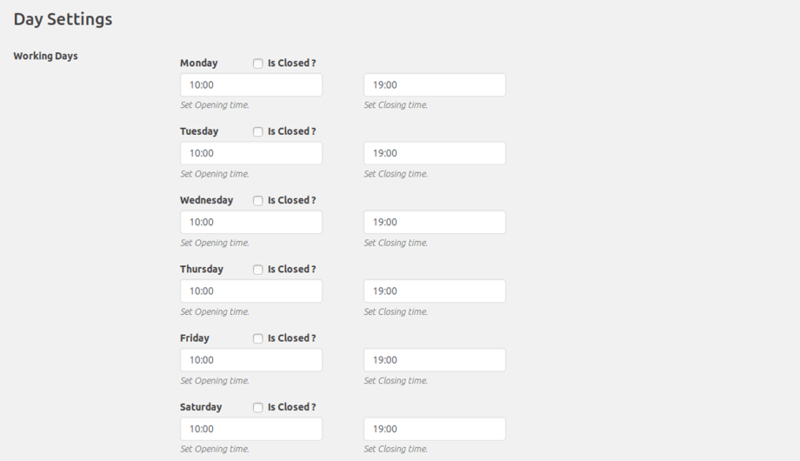 Plugin allows to set holidays to make reservation unavailable for those days. 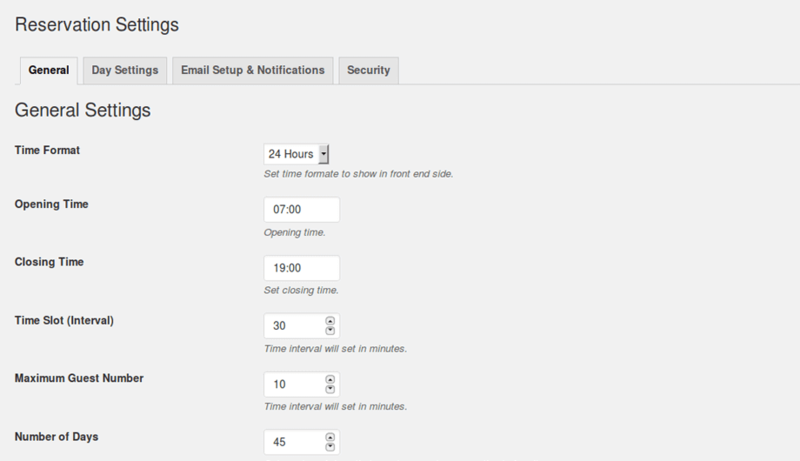 Plugin allows to Set Time Slot as you want. You can use time slot duration between two different reservations. Plugin allows users to set time and date format as they want. That Overrides WordPress date and time formats. 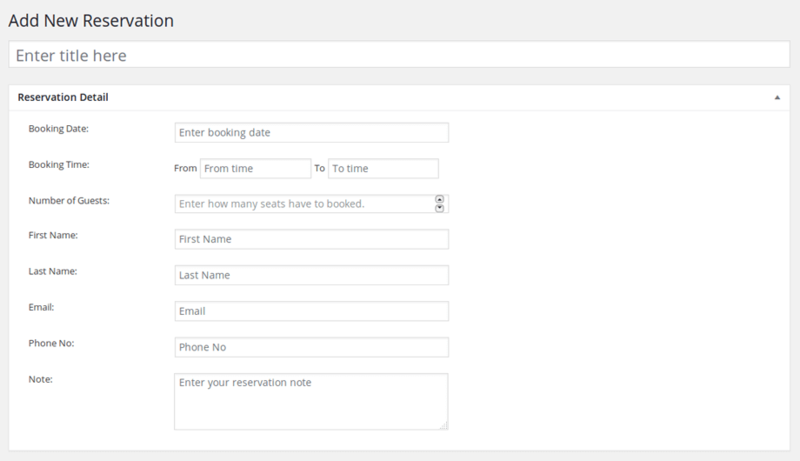 This plugin supports any kind of reservation like seat booking, table booking and appointment booking. Support is never far away. Simply create a support ticket for queries related to pre-sale, issues or customization. 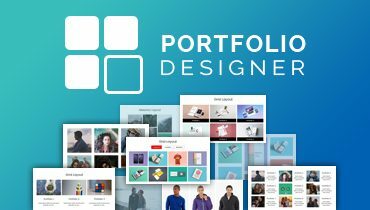 Our all WordPress themes and plugins are documented in detail including all types of configuration and settings. This is an amazing reservation plugin to start getting new reservations and appointments online! 3. Click on Upload Plugin Button and upload all-in-one-reservation.zip. 5. Click on Activate to activate All in One Reservation plugin.